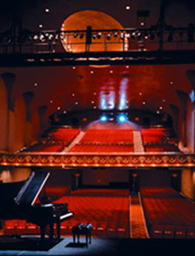 The performing arts venues of New Jersey are more than just entertainment destinations: they also provide arts education to the public through attached schools and special programs. All are dedicated to inspiring audiences and enriching the lives of adults and children alike. Museums and art galleries in this area foster learning in the community. They provide a large resource for educational materials ranging from interactive studies to text materials. The Art displayed and constantly changing will open the minds of the young and old. The New Jersey area's thriving music scene benefits those who wish to excel in the music business as well as those who just appreciate talented performers. The world-class musical ensembles and state-of-the art venues that grace our state can be enjoyed by enthusiasts of all musical tastes.